Psycho Solo Diver – Online Diving Blog and more! » So, Am I Going To Be Able to dive In Poland, Or What? So, Am I Going To Be Able to dive In Poland, Or What? Things have been changing really quickly. First, Greg couldn’t take me diving because of a sick girlfriend, so he told me to go rent a car. While looking for a car, he called me again and said he arranged for me to go with a diving group who was going to be diving in Crakow. “Igor, will take you… You will have fun,” Greg said. Who the hell is Igor? I walked around Downtown Warsaw, waiting for his call. 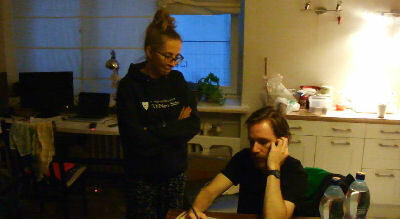 I hooked up with Tusia and her boyfriend Wiktor; I was tired and crashed on their couch for several hours. I finally spoke with Igor and he said he was with a group of divers traveling to Crakow. We did had a slight problem with the details in English. He was going to pick me up at 7 PM on his way from up North. 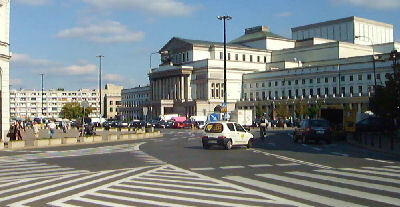 Wiktor called Igor and questioned him – he didn’t believe there was any diving in Crakow. As it was explained to Wiktor, in Polish, they are a diving shop, traveling to Crakow to dive in a rock quarry called Zakrzowek – they were there on business, doing a one day “Discover SCUBA” event. Igor was late, but managed to pick me up around 10 PM. Tusia and Wiktor were relieved – at least the van said “Diving” on the side. I got into the van; there were seven other divers in there. “So Jeff, do you like Vodka?” I was asked. “Yeah, of course, I’m half Polish,” I said. They handed me their community bottle of Vodka… and when in Poland, do as the Polish do. 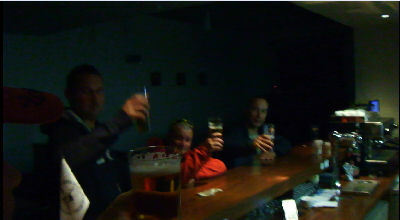 It was a two hour drive to Krakow, and when we arrived at the Diving Base, the bar was closed. They opened the bar just for us! There’s more to come… quality posts, not quantity posts. Just my warning – Never try and out drink a Pole! *This posting is delayed because I am the reporter and the writer, and Polish people love to party. Comments Off on So, Am I Going To Be Able to dive In Poland, Or What?